I’ve finally managed to actually start painting my World Eaters. This is quite an achievement considering I’ve not painted anything for months. The base isn’t finished, hence why the paint is still wet on it. It’s a shame that the production of these miniatures was so short lived. The New Year has definitely come and gone however I’m still keeping one of my New Year resolutions going. The resolution being to finish building putting my World Eaters army together. I finished collecting it a while ago and I’m slowly working my way through stripping paint from second hand models I’ve bought, cleaning them up and putting them together. Considering I loathe putting models together it’s all been going well so far. 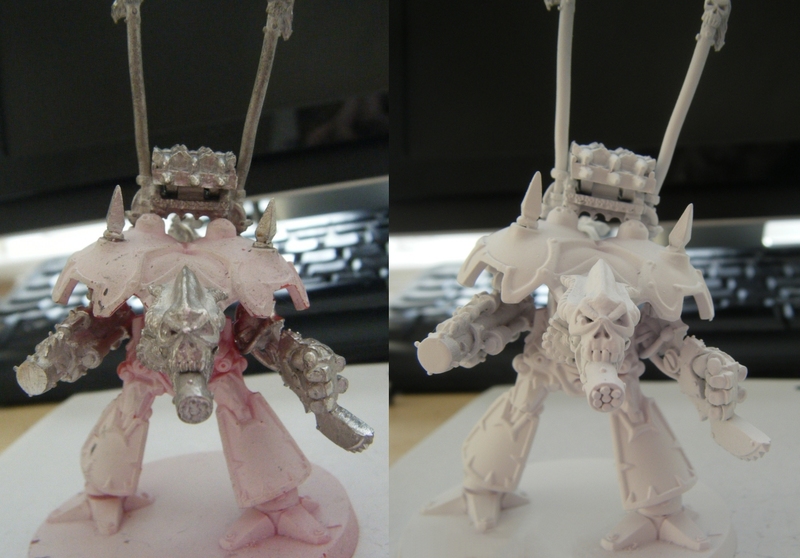 Once I’ve worked out what to replace the skull with and the arm is undercoated it shouldn’t look too out of place. I’m not going to dwell on the gap between my last post and this one or bore you with all the decorating I’ve done over the summer months! Instead I’ll cut to the chase and talk about my World Eaters and what I’ve been up to today. I never meant to collect an Epic World Eaters army; it’s more something I fell into collecting. 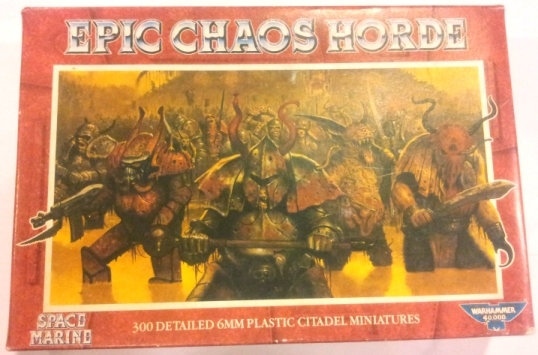 Very long story short, earlier in the year I bought the original Adeptus Titanicus/Space Marine 1st Edition era Epic Chaos Horde boxed set for under £20 on ebay simply because it was under £20. Hard to believe you got all of that for £8 in 1991! Bargain! I didn’t have a plan for these miniatures beyond thinking that they might come in handy at some point or that I might build a small Chaos force. Not too long after purchasing these I ended up bulk buying a large number of Daemon Engines and Daemons from a seller on one of the Epic trading pages on Facebook for a decent price and this was the start of me collecting a World Eaters army. I won’t go into all of the details now but I’ve ended up with a sizable World Eaters army. Instead I’m going to discuss my Banelord Titan. Getting hold of a Banelord Titan became, ahem, the bane of my life for a few months. I’d seen them in decent condition regularly go for £15 plus postage on ebay but the minute I wanted to buy one prices averaged £30-35 plus postage with the condition being fairly variable. Typical! So, I decided to stick to my guns and wait patiently for a sensibly priced Banelord Titan to turn up. Months passed and still no Banelord Titan. Eventually I caved in and paid £30 including p&p for one on a trading forum and I’ve not seen one for less than that since. 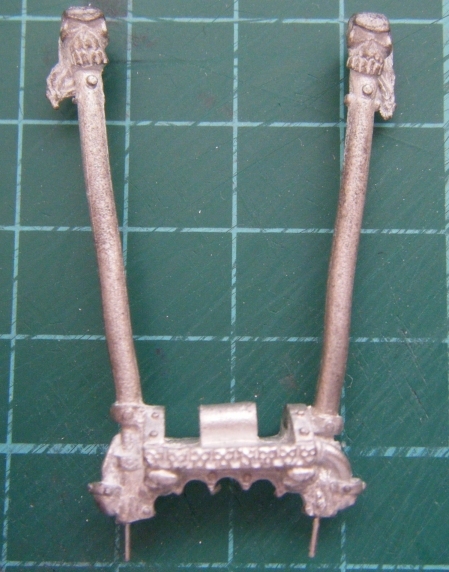 The condition of the Banelord Titan I bought was good but it needed a bit of a refurb. You might notice that I added a couple of spikes from my bits box to the carapace to cover the empty holes where weapons are usually plugged into. So, there we go! 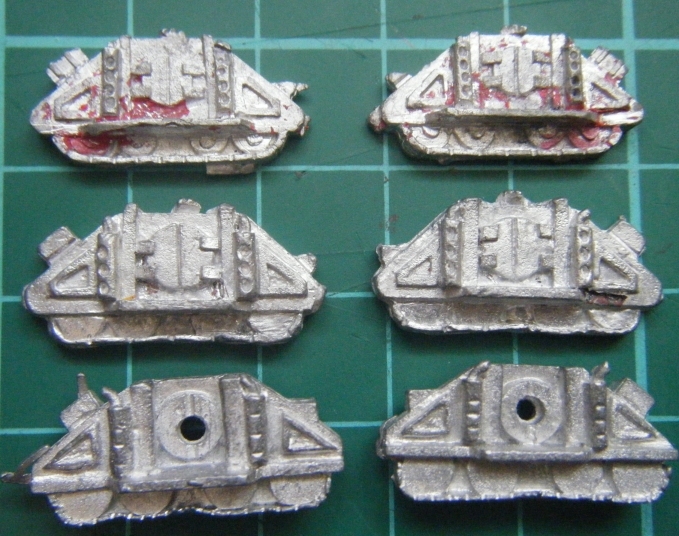 🙂 What surprises me is how many Mk1 Space Marine Whirlwinds I own (I’ve got them in both my Imperial Guard and Space Marine armies) yet I only have one pair of these sides, you’d think I would own a few more. Given that I’ve painted huge amounts of Imperial Guard infantry just painting eight bases of Space Marines was a breeze! I would’ve loved to paint chapter markings on the Space Marines but I’m just not that masochistic! I started to paint my Legion Jet Bikes (well, the Mk2 Space Marine ones) and I was hoping to have them finished today but my new pot of Vallejo black paint is currently coming out gloss meaning that I can’t finish those bikes yet. I guess I’ll just have to keep shaking that pot of paint! These metal models paint up really well (not that you can tell in my photo) which is impressive when you consider their age! 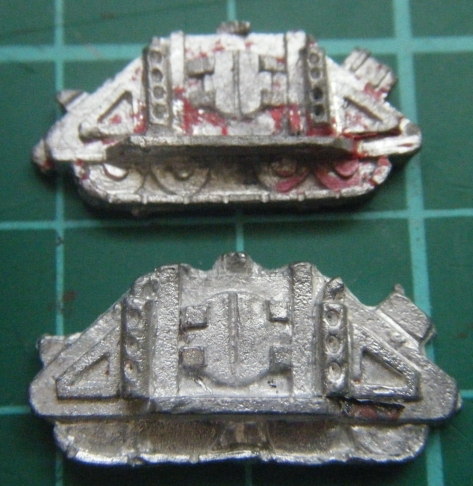 Once the Land Raiders are finished I’ll start work on my second Legion Tactical Detachment. Note: that I’ve not removed any flash from the vehicle sides. * More detailed stowage area. * The exhaust has four holes in it and not three. * Less detail on the top of the exhaust. * The doors are slightly smaller. * The hole the body plugs into is smaller. 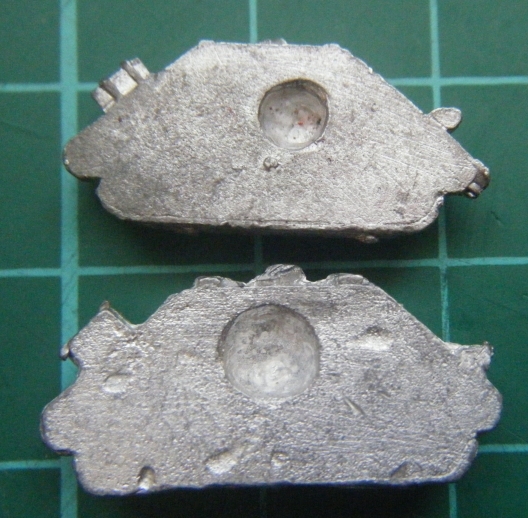 The metal is consistent with the sides released during the AT:SMv1 era and it looks like it contains lead. Because of this, and the fact that they’ve been in a box for twenty plus years(! ), I don’t believe they’re fan made. 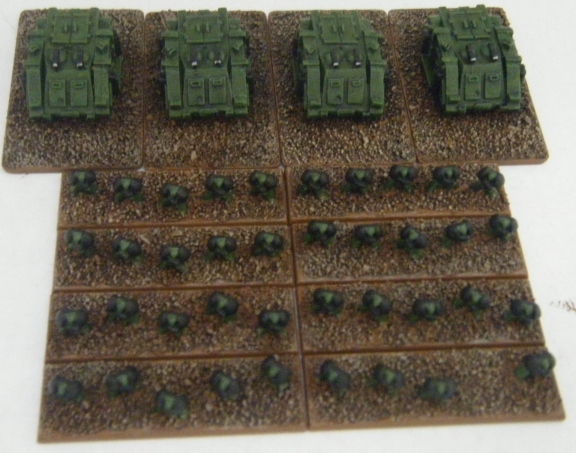 The painting of my Steel Legion army has stalled due to the models needing stripping and repainting which has drained my enthusiasm for the project for the time being. Instead I began to sort out my Epic Space Marines with the intention of painting an EpicA Codex Space Marine army that could also fit in with my Space Marine 2nd edition Space Marine army. 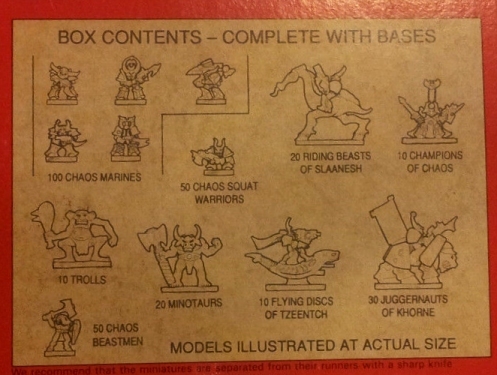 As I was going through the models I own it occurred to me that with a bit of planning I could put together a 30k Heresy Era Space Marine army list using my MK6 Beakies from Space Marine 1st edition and metal vehicles from that era. I realise that technically 30k Space Marines wore MKIV armour but at a 6mm scale I don’t think it matters too much if I use MK6 models. 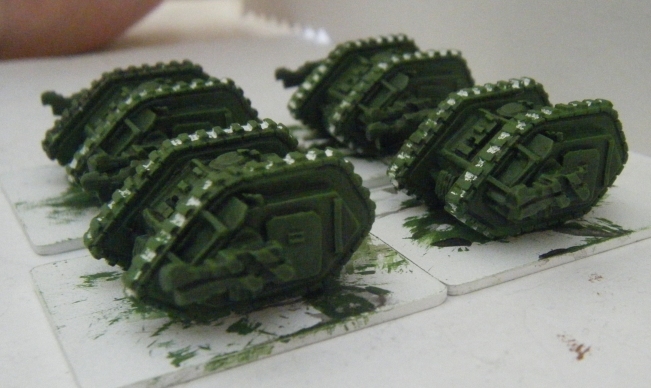 The green is quick and easy to paint and looks good in the flesh as opposed to my photos which look washed out. 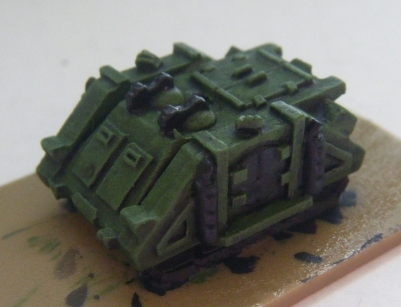 I realise that Salamanders have black shoulder armour but I’m not 100% sure if I want to go down that route on my MK6 models yet. I’ll worry about getting hold of the rarer models such as Fellblades, Glaives and the like later on once I’ve got the basics painted.